and water streamed down from the shower head above, while she sat sideways in the water below. I knew it would be a quick birth for this second time mother and had driven the distance to her home as though I had wings. Penelope had waited for me. I listened to the heartbeat of the baby and waited. Only one side of the bath was accessible and the flimsy plastic casing meant that touching it may disturb the volume of water, leading to floods on the floor. I turned off the ceiling lights and used a small torch to cast a dim light and lessen the stimulation to see, to think, to talk. Within a few minutes, Penelope felt new bearing down sensations and asked “Is this right, Marianne, can I push?” I watched and waited as the momentum grew, and surges intensified. Penelope reached her hand down and felt the top of her baby’s head to expressions of wonderment and relief. Another bearing down sensation and the head was born, followed by the shoulders, and baby Max wriggled into Penelope’s waiting hands. I quietly watched and waited, listening to Penelope’s expressions of wonderment and joy, and responded when the placenta came, placing it in a small tub that floated on the water. Penelope gave birth to and caught her own baby underwater. My task and privilege was to protect this process and benefit, with mother and baby, from the great reasons above. I am 46, had four pregnancies and four “normal” vaginal hospital births…. How I wish I knew about home births, water births, back then! Hoe utterly uninformed was I…. When our last one was born (the only one without induction), I asked for a water birth at a rather big private hospital in Pretoria… The had none. I used the clinical unpersonal shower, but in the end ended up, once again on my back on a bed. Oh, if I only knew back then! Am praying that my darling daughter will have the privilege of a home birth under Marianne’s guidance…. Thank you for telling me your story. May you be blessed for giving birth to four beautiful children! Oh my gosh!!! This is beautiful. 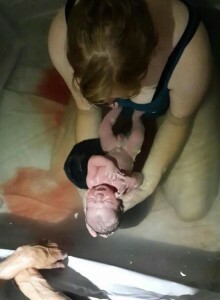 Your reasons for waterbirth really resonates for me. Wonderful explanation. Change “extra” to “all if their own” and it will be perfect. Awesome as always Marianne…. 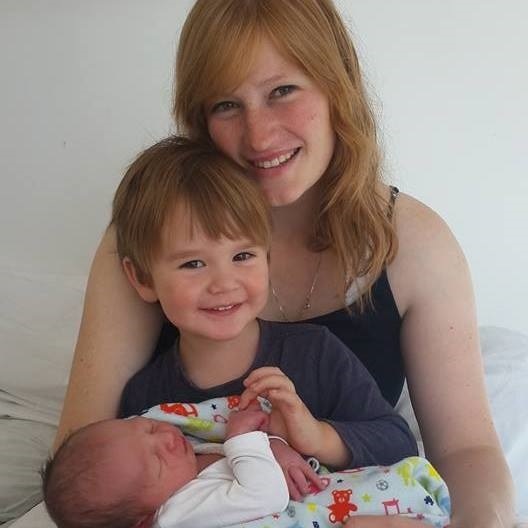 mum’s and babies are so blessed to have you….